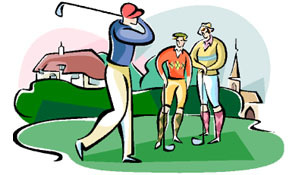 The golf driver is not a club for all situations. In fact it has a very specific purpose - distance; not infinite distance, but a defined distance. This means you should know how far you want your driver to go. How do you define distance with your driver? First you need to have a firm understanding of what and how the driver is to be used. It is not a club you use every time you walk on to the tee box. If distance is required to give you an acceptable approach shot to the green and you can not get it with any other club, then the driver is your club. Are you able to keep it in the fairway? If not, then don’t use the driver. It is better to be short and in the fairway, than to be long and in the trees! Think on this. To Drive, Or Not To Drive? Using the driver is your choice, but when you choose the driver here are six things to consider beforehand. What is the distance to the target? Can you keep the ball in the fairway? Where will the ball go if the target is missed? Is there room for your ball to roll out? What is the distance to the next shot? If you don’t know the answers to at least four of those six questions, don’t use the golf driver. If you swing your driver, you must get your right side (for right-handed players) through the ball. Releasing the clubface through the golf ball ensures the direction of the ball. Think about this while holding your chest behind the ball at impact. Never swing your driver more than 75 percent. Any more and you will lose control of the swing. Remember, never swing any club faster than your balance. This is a perfectly simple, but very important tip.